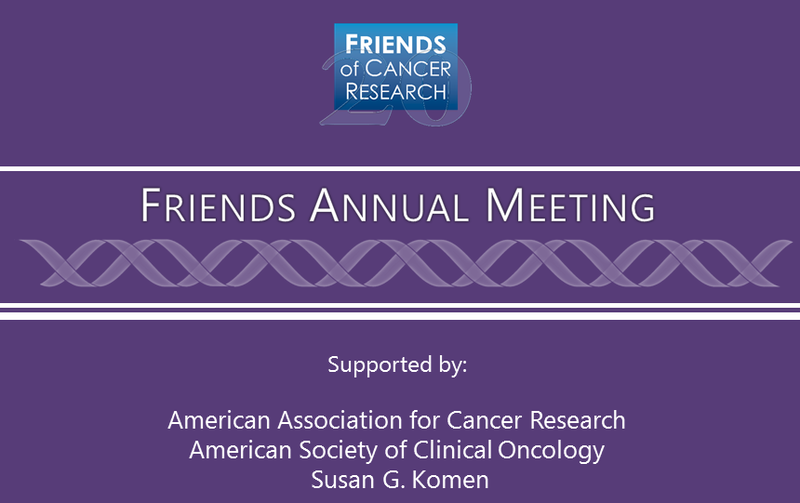 Friends of Cancer Research and the Parker Institute for Cancer Immunotherapy are pleased to convene a public meeting bringing together leaders in cancer drug development, federal health and regulatory agencies, academic research, the private sector, and patient advocates to address key concepts and issues in cellular therapy development. DRUG PRICING. APPROVAL STANDARDS. THE FUTURE FDA. PATIENT INPUT. Thank you to all that attended. To access a full recap of this archived meeting, please Click HERE. On May 24, 2016, Friends cohosted the 2016 Immuno-Oncology Clinical and Patient Roundtable with the Alliance for Regenerative Medicine. This roundtable consisted of experts in the field of immuno-oncology and regulatory health policy, as well as patients. Panelists came from diverse backgrounds, including academia, industry, and government. The event aimed to educate and inform major stakeholders in cancer research about the most recent scientific breakthroughs and the challenges faced by researchers and policymakers in the field of immuno-oncology. For the past five years, Prevision Policy has hosted a high-level conference focused on FDA and CMS policy issues. This year, Friends joined as co-hosts for the 2015 Biopharma Congress.